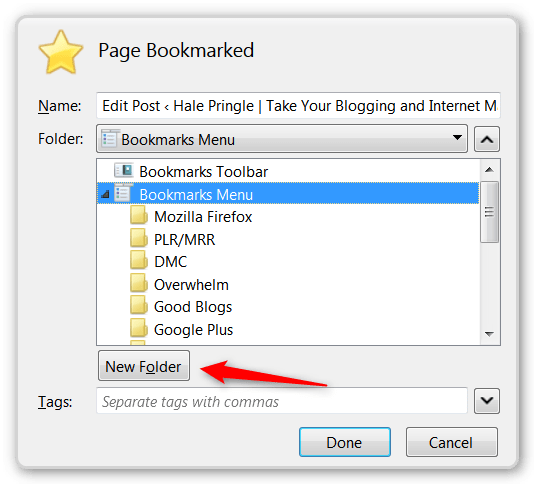 Firefox tips on Saving Time: Firefox is the browser of choice for many people, but there are many features that the average user doesn’t know about and hence they don’t use. You may not want to use all of these, but there are sure to be a few that you would find useful. 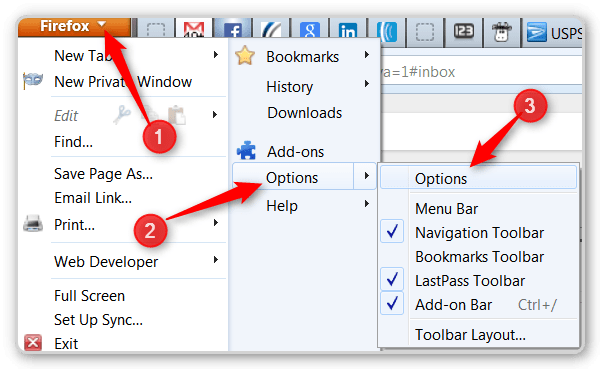 #2 – Choose “Show my windows and tabs from last time” from the drop down menu that tells Firefox what to do when Firefox starts. Enter the URLs for the various windows that you usually open. You click click on the little plus sign beside the current right-most tab or press Alt-T top open new tabs. 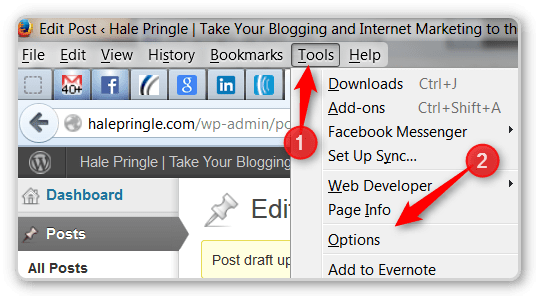 Right Click tabs for sites that you use regularly and choose the “Pin Tab” option. That will take the long tab and make it small. You can still see the name of each tab by hovering the mouse cursor over the tab you are interested in. You can see that there are already several small tabs to the left of “Remember the Milk”. These tabs have already been pinned. Occasionally Firefox will not open the tabs the way I want it to. Usually this happens when I close windows prior to shutting my computer down (which I rarely do). Firefox will restore the last window I closed. If this wasn’t my main window then I don’t have my Pinned Tabs when Firefox starts. I will also see this problem (rarely) when my computer crashes or Firefox sends an update. Here is what I do to recover from that. Step #1 – Create a special folder for standard windows. I call mine Hale’s Defaults. Step #4 – Manually Pin each of the tabs that open. 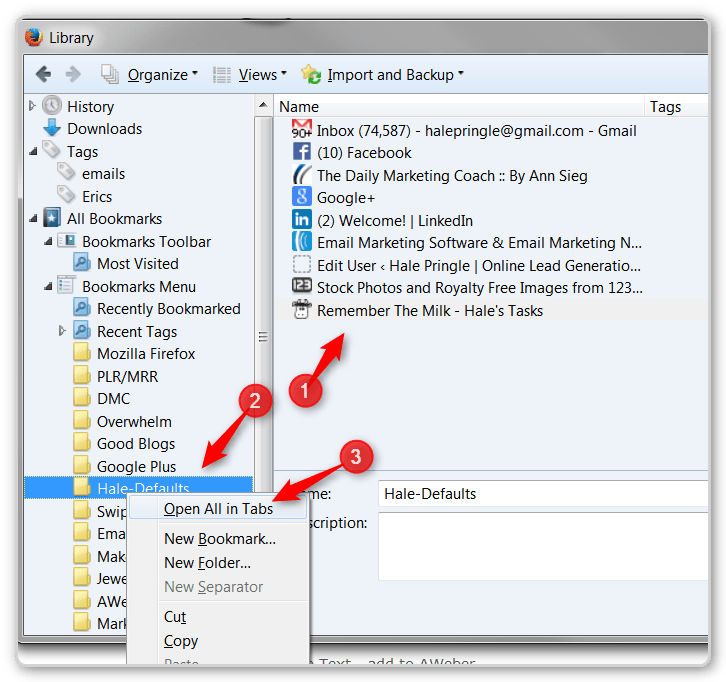 Bookmark each window and place them in your new “default” folder. #1 – Click on your defaults folder and check to see that everything is there. Step #4 – Pin the Tabs Again. 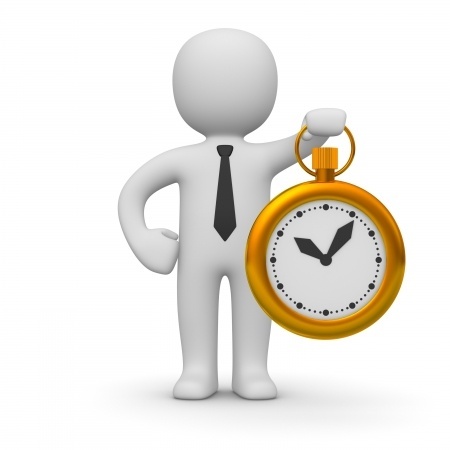 Tomorrow we’ll cover several more time saving tips that you can use when with Firefox. 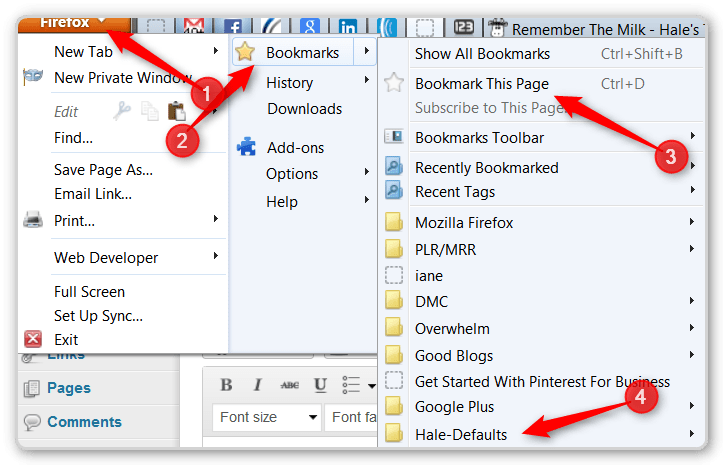 Firefox Tips – Pinned Tabs – They will save you a ton of time. I know we talked on the phone the other day. Call me again if you still have questions. this website, and piece of writing is in fact fruitful for me, keep up posting such content. I’m glad you found it useful..